I’ve fallen victim to not documenting my disassembly sufficiently and am hoping someone can steer me in the right direction. 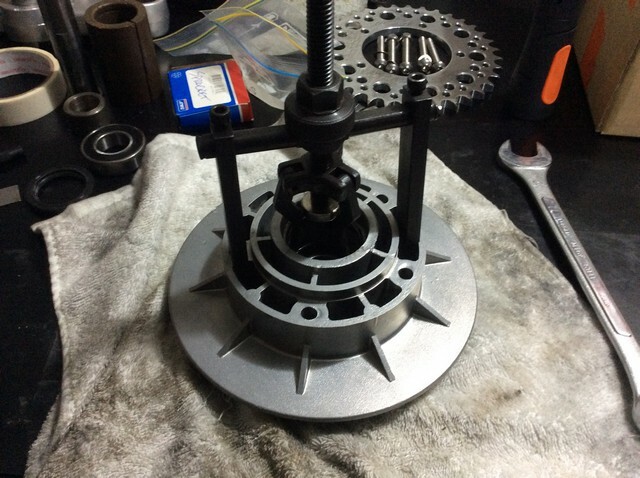 Neither the 750 or 860 parts manuals show a spacer between the bearings in the sprocket carrier. 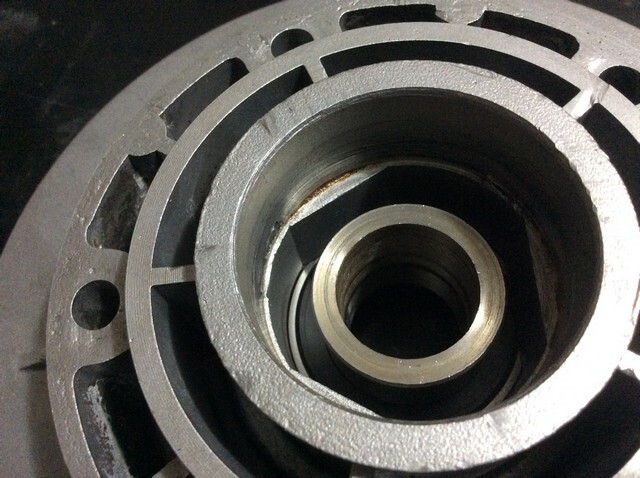 The bearings aren't pinched together when the axle is tightened because the spindle they ride on butts up to the the spacer in the wheel hub when the axle is tightened. 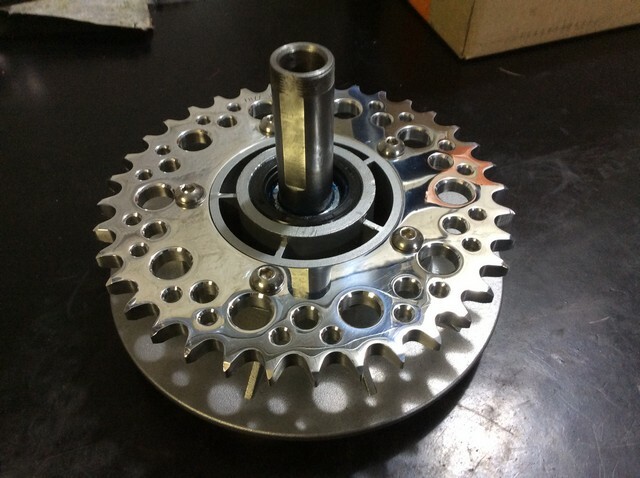 The sprocket carrier floats on that spindle. The big nut that holds the carrier to the swingarm doesn't need to be cranked on very tight as it only holds the carrier in place on the arm. Looks like that spacer is from somewhere else, front perhaps? #25 is the spacer between the bearings in the hub,the stub axle that holds the sprocket carrier butts up to it when the wheel is installed. I know I have a few of those in my spare-parts-bin but they could also be some leftovers from the SD-GTV para-twins (they used the same forging for the carrier but with slightly different depth). Not so sure the two bearings in the carrier aren't subjected to axial force when tightening the big nut. That's why that piece would be between them. Hi Folks and many thanks for the replies. 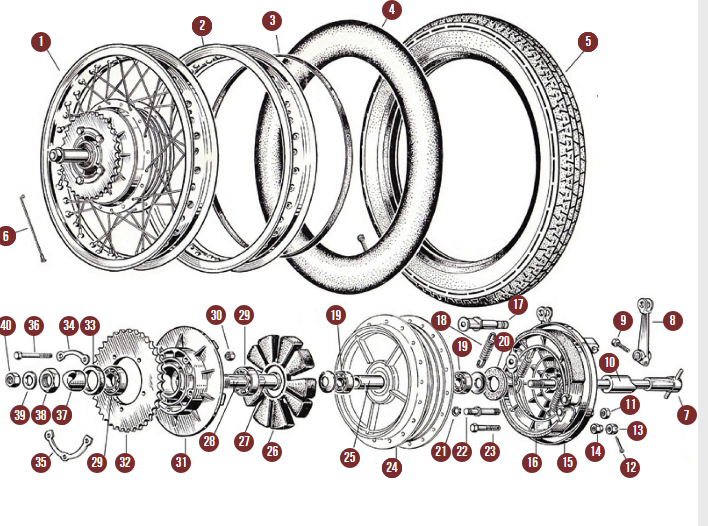 Just to clarify, the spacer is that which is located within (I believe) the sprocket carrier and not the wheel hub. Whilst I do admit that my photo-documenting of the tear down was a bit tardy, I was very diligent in bagging up items and the dang spacer was in the bag with carrier bearings, cover washer, stub etc, so I'm sure I have origin right! To pinch from Geoduc's approach I've copied out the image from Ducati Classics site and shown the actual bush in question. I've taken the liberty of removing any pricing/references just in case that info is not forum appropriate. 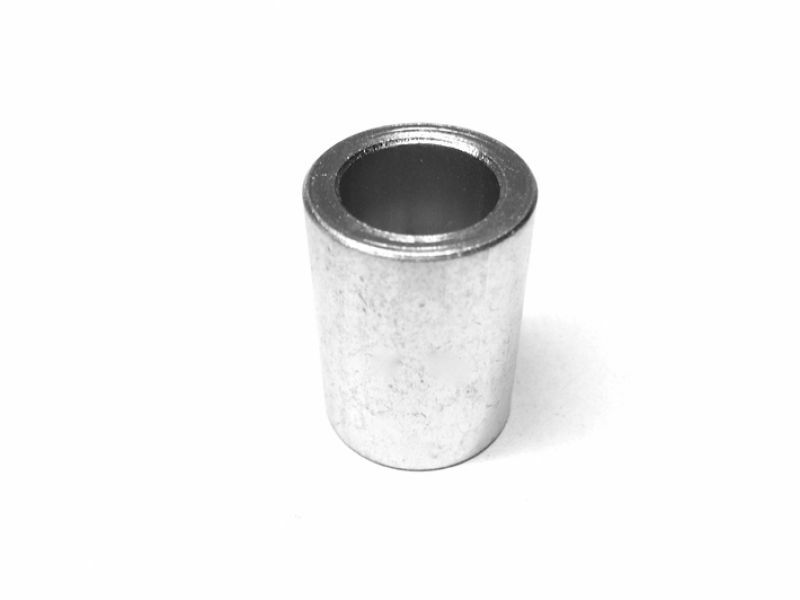 It's the fact that the bearings do indeed seat on a flange inside the sprocket carrier that has me stumped, as the image below (and my bagging of parts!) indicates the position is in between the bearings. There's float between the 2 bearing faces, but the bush is a perfect fit on the stub axle (part 27 in the image below), so I just don't get its function. Again, many thanks in advance for assistance and apologies if/when the answer reveals itself as "patently obvious"!! Seems Harm and his crew discovered that the drawing was wrong but simply added the #28 without adding the bush itself. 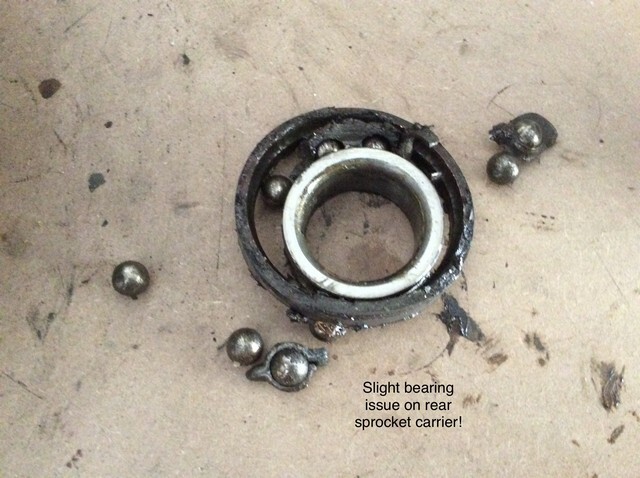 When You say the bearings have float, do You mean they are loose in the carrier ? 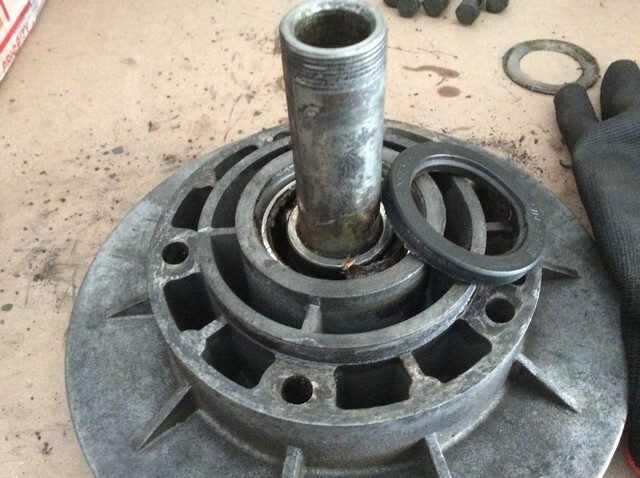 If the bush is too short (or the carrier isn't machined correct) maybe that's why the outer bearing selfdestroyed ? Through the journey of time, the dulling of grey material, and plain old stupidity, my mistake is now borne for all to see. My "shelf" within the sprocket carrier wasn't the edge that the bearing was supposed to seat against (and confusing me as to why I would have a 25mm spacer for a distance between the 2 bearing faces). It was only when I went back to basics, measured the width of the outer bearing AND the seal to compare them to the seating depth in the carrier that I finally put the "I'm staring at the bleeding obvious" glasses on. 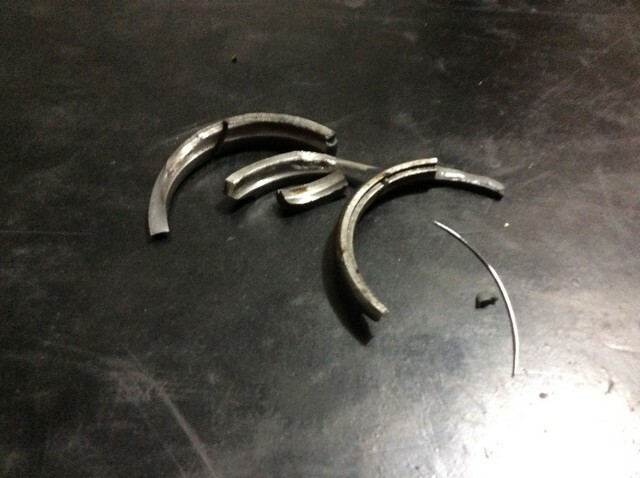 The shelf was in fact a perfectly sheared piece of the old bearing's outer race. Yep, the one that detonated and started this whole resto years ago. So, if it is of any assistance to drum brake equipped owners, there IS indeed a spacer that sits between the 2 bearings within the sprocket carrier, as shown by item 28 in the schematic above. Finally, back together, shiny sprocket installed, and said buffoon onto the next impending disaster! Well a Tiny bit o' egg on my face! been about 30 years since I've been in a drum rear hub/carrierassy.